'MLM' The American Dream Made Nightmare: 'Scholars of Religion' or 'Scholars of New Religious Movements' have not looked beyond the ends of their noses. 'Scholars of Religion' or 'Scholars of New Religious Movements' have not looked beyond the ends of their noses. From The Universal Identifying characteristics of a Cult (David Brear, Axiom Books copyright 2005). Now, I've already reminded regular readers of this Blog that 'you can fool some of the people all of the time, and all of the people some of the time, but you can't fool all of the people all of the time (with the notable exception of the many attorneys at the US Securities and Exchange Commission, and Sociologists of Religion).' For the benefit of the many new readers coming to this Blog, there exist in the world a number of psychologically-dominant individuals, and bodies of psychologically dominant individuals, holding impressive, traditional, academic qualifications who have steadfastly pretended intellectual (and in some cases, moral) authority, but who, in reality, by constantly-repeating the thought-stopping words 'religion' and 'religious freedom,' have sought to block all intellectually-rigorous inquiry into the cult phenomenon. Furthermore, these same academics have systematically categorized, condemned and excluded as, 'anti-cultists' or 'members of the anti-cult movement,' all free-thinking commentators applying common-sense to the study of cults. Indeed, they have generally tried to denigrate anyone, and everyone, who doesn't subscribe to their own inflexible, and uncritical, point of view, as alarmists with a hidden agenda. 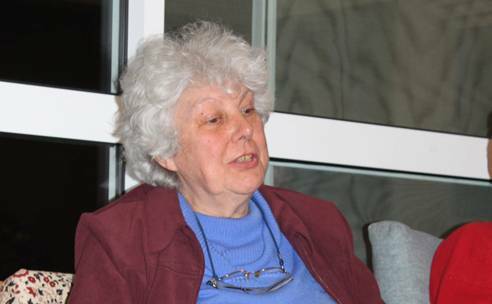 Although they are now coming up to retirement, probably the two most high-profile of these dogmatic 'Scholars of Religion' (in the anglophone world) have been, John Gordon Melton, founder of 'The Institute for the Study of American Religion' and Eileen Vartan Barker, founder of the 'Information Netwok Focus on Religious Movements' ('INFORM'). These two venerable academic/authors claim to have spent their entire careers gathering facts and applying objectivity to the study of the religious phenomenon, but they have completely failed to spot the first universal identifying characteristic of a cult, for the very simple reason that they were not looking for it. Deception. Pernicious cults are presented externally as traditional associations. These can be arbitrarily defined by their instigators as almost any banal group (‘religious’, ‘cultural’, ‘political’, ‘commercial’, etc.). However, internally, they are always totalitarian (i.e. they are centrally-controlled and require of their core-adherents an absolute subservience to the group and its patriarchal, and/ or matriarchal, leadership above all other persons). By their very nature, pernicious cults never present themselves in their true colours. Consequently, no one ever becomes involved with one as a result of his/her fully-informed consent. To give readers some idea of the rigid vocabulary, and resulting intellectual limitations, of academics like J. Gordon Melton and Eileen Barker, in May 1995, Melton and two associates, James R. Lewis and Barry Fisher (a US attorney), suddenly dropped everything and jetted off to Japan at the invitation and expense of the deployable agents of Chizuo Matsumoto a.k.a. 'The Great Enlightened One.' 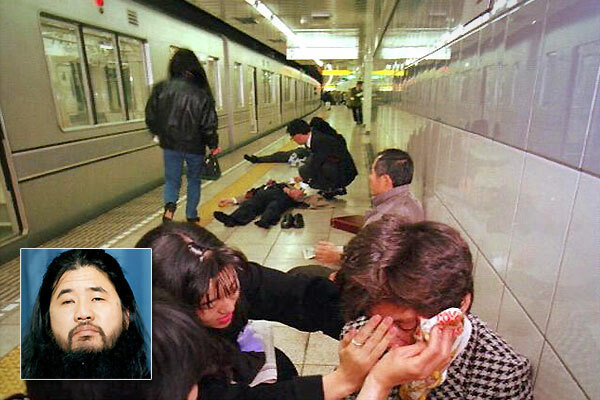 At this time, in the wake of the deadly Sarin gas attack in the Tokyo Subway, the Japanese police had just arrested (without specific charge) more than 150 deluded core-adherents of the reality-inverting pernicious cult known as 'Aum Shinrikyo' ('Supreme Truth'). However, the Japanese authorities were still in the process of recovering and identifying 150 tons of war materials secretly-stockpiled by 'Aum:' including a military grade laser, chemical and biological weapons, such as Anthrax and Ebola cultures, along with chemicals and a fully-equipped laboratory to produce enough Sarin to kill between four and ten millions people. However, in May 1995, this key-information had not yet been fully-released to the public; neither had it been uncovered nor disclosed that Matsumoto had (in complete contradiction to his own 'religious/pacifist' literature, recordings and public statements) been secretly putting into operation a meticulous plot to kill and/or maim, and/or terrify the entire Japanese population, including the government and the Head of State, and install himself as the new Divine Emperor of Japan. Although it now doesn't seem possible, Melton and his two associates called two absurd, but nonetheless shameful, press conferences in 'Aum's' Tokyo office, in which they steadfastly pretended moral and intellectual authority. Posing as fair-minded independent experts who had offered their services for purely philanthropic reasons, they arrogantly broadcast their 'concerns' (to a group of stunned and angry Japanese reporters) that, by conducting mass-arrests of 'Aum' practitioners without charge and also by removing 'Aum' children, the Japanese police had 'infringed the civil rights of the members of a New Religious Movement.' This trio of demonstrable-dunces with diplomas, also insisted that, based on documentation, and photos, which they had been shown by the members of 'Aum,' the group did not have the capacity to produce Sarin gas and, therefore, they had concluded that 'Aum' was being used as a scapegoat. Soon afterwards, only when faced with public ridicule, Melton reluctantly admitted that 'Aum' had been responsible for the Sarin attacks, but apparently he has never changed his eyes-wide-shut approach to the study of the cult phenomenon. On the contrary, Melton has continued to deny reality by steadfastly pretending to be an objective historian who seeks 'primary source literature,' and who has generally made 'direct, personal contact with the leaders or official personal representatives of a church or religious group.' Melton also continues to make Orwellian claims that the purpose of such contact has been 'to obtain the groups' main religious literature to ascertain their principal teachings and practices.' In reality, Melton and his ilk (who exhibit what psychologists term, 'confirmation', 'confirmatory', 'myside' or 'verification' bias http://en.wikipedia.org/wiki/Confirmation_bias) are persons unable to think-freely outside of their habitual 'religious' terminology. Consequently, they have been easily duped by a herd of latter-day Trojan Horses which have born various banal, often 'religious,' labels. Unfortunately, the self-esteem of highly-qualified, but casual, observers like J. Gordon Melton and Eileen Barker, has also prevented them from examining, let alone accepting, the common-sense, deconstructed explanation of the totalitarian/cult phenomenon. Indeed, the more highly-qualified many individuals are: the easier it is to dupe them and to keep them duped, because the less-likely they are to want to admit to the world that they can be duped. The above quotation is a perfect description of today's bleating flock of 'Scholars of New Religious Movements,' but it was actually written more than 100 years ago by Leo Tolstoy. I would like to warn the readers of this Blog that if ever they encounter persons (no matter how highly-qualified) telling them anything about an individual cult, or about the cult phenomenon, which is so complex that it cannot be immediately understood by anyone: take it from me, it's thought-stopping hocus-pocus.